Video marketing is the incorporation of rich media into both your marketing channels and campaigns in order to build brand awareness, increase sales, improve the retention rates of your messages, boost online engagement and educate your customer base and potential customer base. Popular video formats in-play, today, are educational and/or how-to videos, on-boarding videos, entertainment-based videos, customer testimonials, corporate-training videos and, more commonly than ever, livestreaming. Online video now accounts for 50 percent of all mobile traffic, according to Merchant Marketing Group, and that number is expected to rise. Research from Brainshark reveals that 33 percent of tablet owners are watching 60 minutes of video each day. And a report published by Demand Metric indicates that 70 percent of marketers are now using videos in their marketing strategies. Video is here to stay and will only take up a bigger marketing footprint moving forward. Done correctly, companies can leverage the visual impact of video to open up the channels of communication with the world at large and foster the give-and-take, interactive brand experiences that people now expect. Consumer internet video traffic will be 80 percent of all consumer Internet traffic in 2019, up from 64 percent in 2014, according to a report from Cisco. 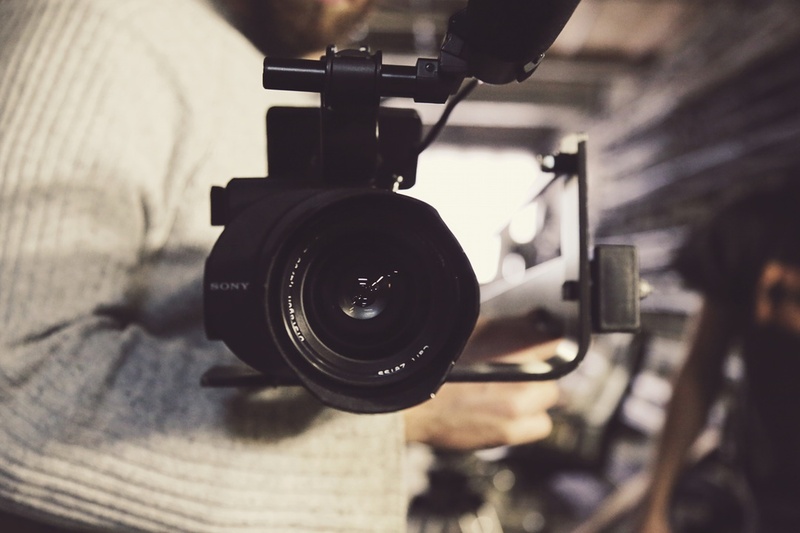 What’s more, production costs have fallen significantly in recent years and, thanks to video formats such as Vine, you do not need an entire production crew to produce engaging content. Last but not least, 43-percent of video marketers are able to capture metrics across multiple marketing channels—blogs, social media channels, and company websites—reports the Content Marketing Institute. If you think that you can make a quick video on your lunch break and have it up by day’s end, you may find yourself disappointed by the final product, says the team at Marqana Digital. Your company’s story is not a topic that should be addressed as an afterthought so put some thought into your message: who is your intended audience, what is your video’s purpose (e.g., educational, motivational, offer-based, etc. ), and what message or action do you want the viewer to takeaway or perform? Both interactions and conversions are trackable and measurable with online video. With the help of video analytics, you can see if your content was viewed, including how much of it was viewed, in what order, and from what geographic location. Assessing this data, you can determine whether your video offering was successful and test to see if you can improve upon the results. Of note, Zappos reports that product pages with video convert customers at a rate six-percent to 30-percent higher than pages void of video content. Also, if you are incorporating emails into your marketing strategy, video content placed in emails can boost “open” rates by 20 percent and increase click-through rates (CTR) by two-to-three times over emails without video content, according to Brainshark. A study by Wistia showed that videos under one-minute in length enjoy 80-percent viewer-retention up to the 30-second mark, while videos two-to-three minutes in length still enjoy a retention rate of 60 percent. Five-to-ten minute videos (i.e., essentially the cutoff-length for video-marketing purposes) still see a rate of viewer retention that exceeds 50 percent halfway through the video. 1. Use video to promote other content that you have created. If you have produced an asset such as an ebook or white paper, consider asking users to provide their emails in exchange for a free download of your resource. Support this “ask” with a short video—both promotional and educational in nature—that features the author or subject-matter expert speaking briefly, but informatively, about the topic and embed it on the landing page of a social media channel such as Facebook or LinkedIn (or wherever it makes sense to promote it). 2. Livestream comments and discussion. Courtesy of emerging platforms Periscope and Meerkat, video livestreaming is gaining steam. Each of the aforementioned platforms allow you to broadcast video to anyone in the world, in realtime. Early adopters are still testing it but the options are limitless: you can stream live events, record a podcast live, or share your thoughts about industry happenings and get immediate feedback from your social audience. 3. Use video as a source material to create more content. San Francisco entrepreneur Mitchell Levy publishes a series of interviews with successful business leaders on a microsite called Thought Leader Life. He records each half-hour interview as a live-streamed Google Hangout (which is archived on YouTube). Then, he adapts the interview in four different formats, published on up to ten platforms. So, from a single conversation he creates a video published on YouTube; a blog post; a podcast (published on iTunes); a syndicated podcast (published on a PR network); social messages (posted on Facebook, Twitter, Google+ and LinkedIn); a series of tweets (Twitter); and a collection of key points or messages in the form of a curated ebook.